True. I reopened the old thread in "Workwear". Simon I sent you a PM regarding the £25 price for forum members. Just one thing, when you choose Gimme Both! you have to choose 2 in the Quantity box which may be confusing because you're just buying 1 of Gimme Both! that includes one of each but you need to introduce 2 in order for that choice to work. I don't know if this is intended. Yes, I'll put a note on the shop thanks. A leather Scout woggle woild probably be the best option. It might be a bit extravagant, but to me the entire concept is: I haven't worn any kind of necktie for so long, I honestly don't remember it. 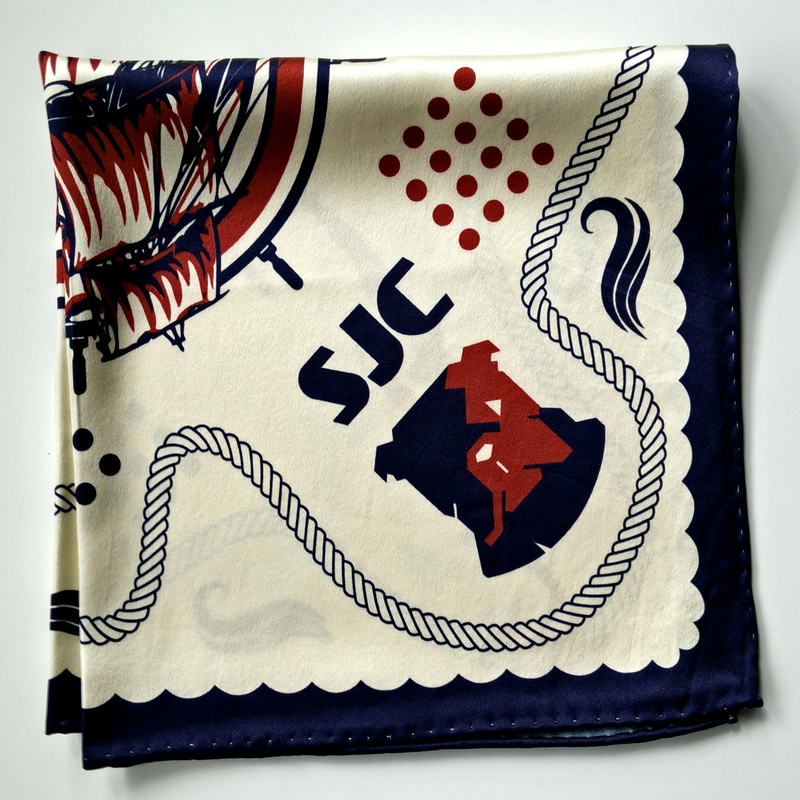 Now, if the combo doesn't work out, that's quite alright: I absolutely adore (real) tortoise shell, and the SJC neckerchief totally rocks. Thanks for sharing, that is lovely. I know for thicker necked members this would be very handy to own. What you save in knotting you gain in length. Is it new? I would be nice to offer these. It was a lucky (albeit rather expensive) Etsy find. "Victorian Tortoiseshell Chased Band Buckle Ring Antique Jewelry Size 7 - 7 1/4 Antique Jewelry Scarf Slide Mens Womens"
PS: You need to scroll down to see the original listing. Simply knot the silk once threaded through the loop. Yes, of course: That would work. It took me over 50 years to 'discover' The Granny Knot. 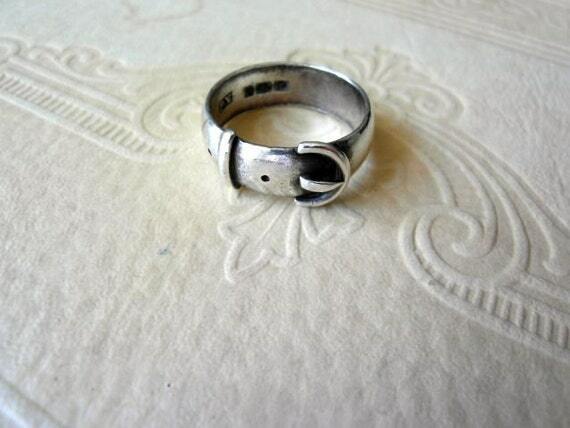 The Etsy seller shipped the ring today and advised me there will another "buckle ring" listed soon. I requested notification when it goes up for sale. I don't know anything else about it at this point, but I will post it here if it looks at all worthwhile. Hey, Warpath Leather Goods makes some killer neckerchief slides(keepers). I have 2 I use all the time. Perhaps Matt could work up something exclusive to SJC? Also, as noted in my 5/26 review @ Etsy (screen name: caporteur), I would *highly* recommend this Etsy Shop. Deborah there runs it right. I remember seeing rings like that in, of all places, Argos, msybe twenty years ago. Usually 9ct gold. Quite striking. Had no idea they were a revivsl of a Victorian design, though!